This patriot is ready to go, it has been setup so that all you have to do is chuck some food, clothes and bedding in and you are on the road. You don't even need to worry about having a brake controller fitted to you car, it has one of them as well. This Patriot is set up with an Elecbrake unit, so no internal Brake Controller is required. If you have one already fitted that is fine, you can use that as well with a flick of switch. 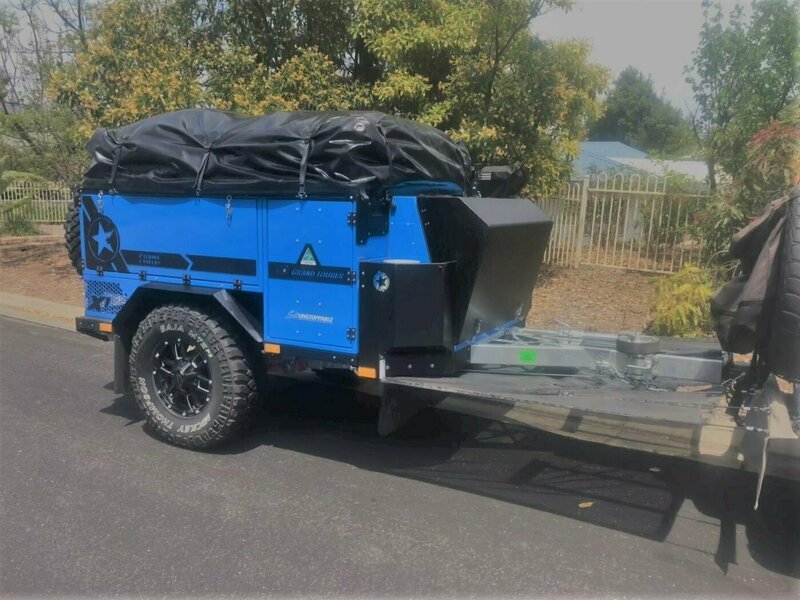 There is even a video all about this exact camper, just go to YouTube and search "Patriot Campers" and go to this video "Patriot Campers X1 & X2 - 2018 WINNER Offroad Camper Trailer of the Year - Weekend at Fraser Island"
Let's chat about your pets:) Oh, and clean your own toilet, I will show you how and provide the chemicals. The rest is up to you. 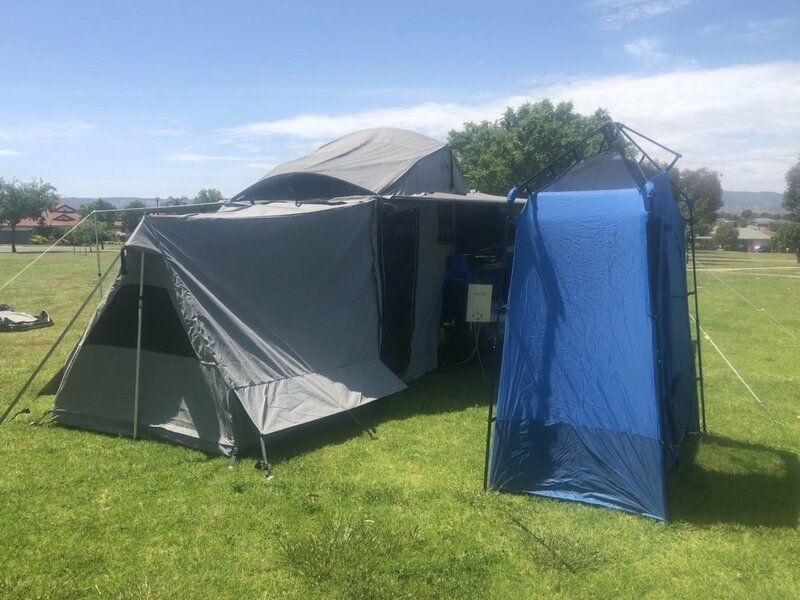 My husband and I arent big fans of camping, but the Patriot had everything we could possibly have needed and was super easy (even for beginners) to set up. And Jeff was on call the minute we had a question or problem. 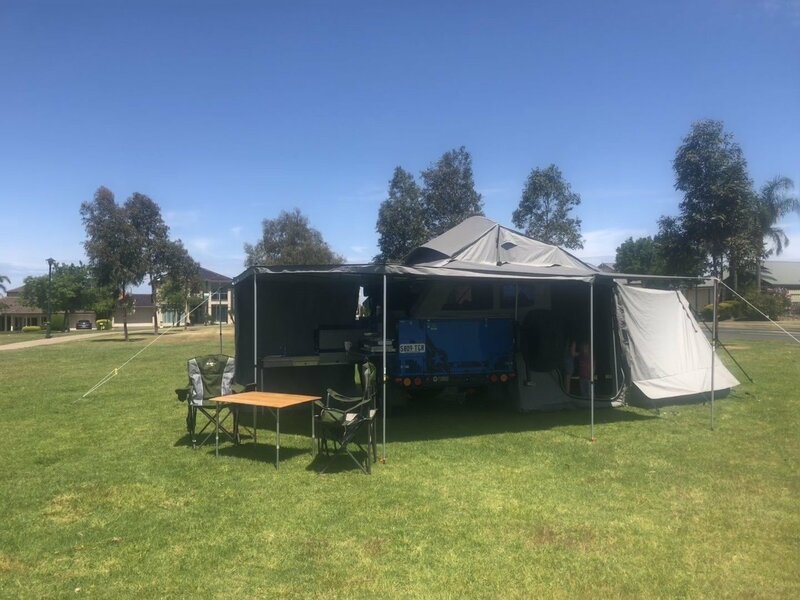 Our 3yo now keeps on asking when we can go camping again, and after using Bluey and the amazing setup Jeff has it is high on the cards to be sooner rather than later. Bluey was a great camper trailer! It comes with absolutely everything you could possibly need. Just throw in your clothes and food and away you go. Jeff was easy to deal with and went above and beyond our expectations! We had an amazing experience hiring Bluey for 5 days 4 nights with our 2 and 4 yo in the Grampians. Jeff is knowledgable and very accomodating. Bluey was spotless when we hired it and Jeff is very generous with what he includes in the hire and the quality of the products. It exceeded our expectations and we are very tempted to buy one ourselves. 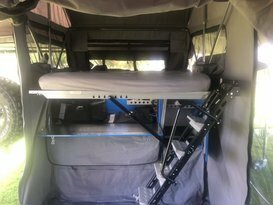 We set up much quicker than other camper trailers and the RedArc system is really useful and helpful. 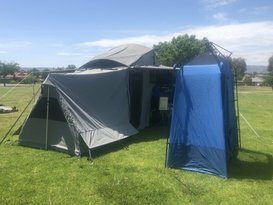 We went both on and off grid whilst away. Recommend Jeff and this camper. 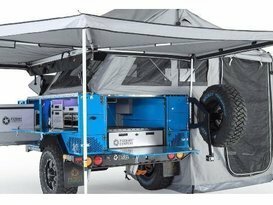 Fantastic camper with all you could need for your camping trip. Forgot your pegs? no need to worry Jeff has them packed. Just pack your food and hit the road. Jeff is a friendly and helpful host and took the time to step us through how to set up the camper, and despite all its bells and whistles its super easy! Its a perfect camper for a family and those who want to get the camping feel with the caravan luxuries. Hire it, you will not be disappointed. Great unit with everything that you need and then some. Jeff was professional and very helpful. I highly recommend Bluey for anyone looking at getting away with all the creature comforts at hand. I will certainly be calling Jeff for our next trip. Jeff was a fantastic host, Bluey has everything you will need for a great holiday included. The camper was spotless and super comfortable. Jeff took the time to explain and demonstrate setup and packing and was available for advice if we needed it out on the road. We loved it so much, we extended for 4 extra days. We highly recommend Jeff and his Patriot camper. Easily the best camper we have ever used. Cant wait to do it all again. Thanks very much Jeff- we had a great weekend away. Not even the rain dampened our trip! You made the whole experience from hiring, to set up, to pick up and drop off very easy. Your communication and flexibility were most appreciated. The trailer was super easy to use, from a quick lunch at the beach, to full set up at our camp site. All accessories included right down to the bottle opener so we didnt need to pack a thing! Already planning our next trip! !